Vitamin B12 is important for many body processes, but if it is in short supply the body won’t make as many red blood cells, they will be abnormally large and won’t last for as long as they should. If you do not have enough red blood cells your tissues and organs may not get enough oxygen and this can lead to the symptoms of anaemia. 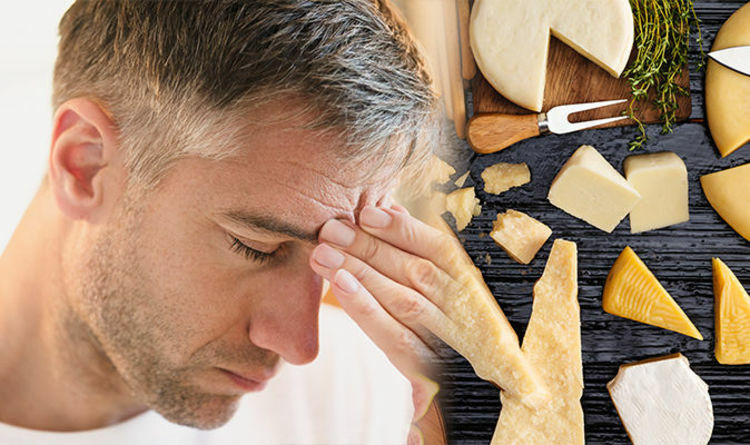 According to Bupa, your body may lack vitamin B12 if the foods you eat don’t contain enough vitamin B12 – a common problem for vegetarians and vegans – or your body can’t absorb the vitamin – an immune condition called pernicious anaemia can cause this. The best sources of vitamin B12 include eggs, milk, cheese, milk products, meat, fish, shellfish and poultry states Dieticians of Canada. But another food you may want to consider adding to your diet is cottage cheese. A 250ml (one cup) of cottage cheese contains 1.1 to 1.5mcg. So what are the symptoms of vitamin B12 deficiency anaemia? Anaemia and anaemia caused by lack of vitamin B12 can result in seven symptoms according to Boots Web MD. The seven symptoms include extreme tiredness or fatigue, a lack of energy or lethargy, being out of breath, feeling faint, a headache, ringing in the ears (tinnitus), and a lack of appetite. More specific symptoms linked to lack of vitamin B12 include yellowing of the skin, a sore, red tongue, mouth ulcers, changes or loss of some sense of touch, and feeling less pain. Walking problems, vision problems, mood changes, irritability, depression or psychosis, and symptoms of dementia can also be indicators. The NHS warns: “See your GP if you’re experiencing symptoms of vitamin B12 or folate deficiency anaemia. These conditions can often be diagnosed based on your symptoms and the results of a blood test. “It’s important for vitamin B12 or folate deficiency anaemia to be diagnosed and treated as soon as possible. “Although many of the symptoms improve with treatment, some problems caused by the condition can be irreversible if left untreated. People with vitamin B12 deficiency anaemia may be treated by their doctor with injections of vitamin B12, given tablets or recommendations for changes in their diet. Nutritionist Dr Josh Axe recommends taking vitamin B12 supplements could help prevent deficiency symptoms.